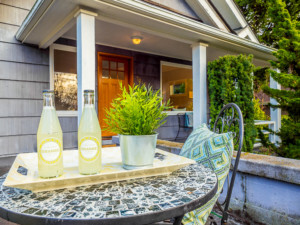 This handsome Bungalow, circa 1916, sits up high off the street, in ever-popular Phinney Ridge. 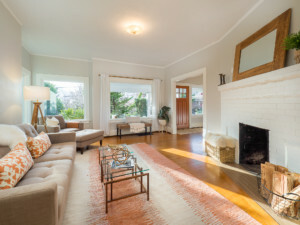 Built right with good bones, the home has all the amenities we adore in older homes. You are greeted with a welcoming front porch that brings you into an entry Foyer. The Living Room and Dining Room boast hardwood floors, high ceilings and are flooded with abundant natural light. 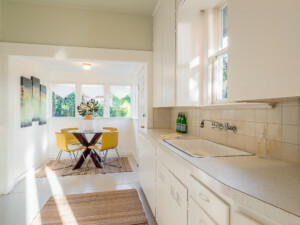 This home has an original kitchen complete with a charming sitting nook with wonderful small-pane windows. There are two bedrooms on the main floor both with high ceilings with a full bath in between. The potential abounds on the open and light second story that greets you with a Mary Poppins playroom complete with fir flooring and lots of space and a third bedroom boasting Western views. The basement has a ton of storage as well as access to a one-car bunker garage. 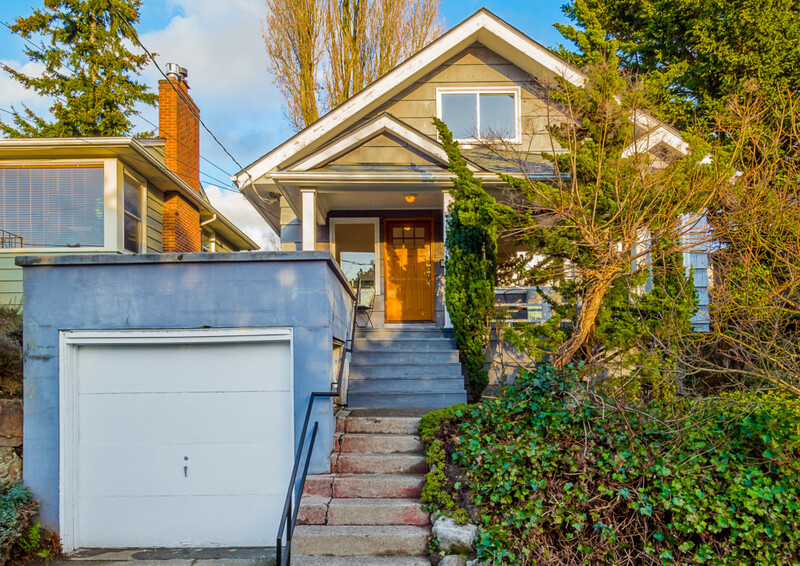 Set on a sought-after street with a private back garden, near many amenities on Phinney Ridge and easy transit into the downtown core, you will adore the location. Contact me for a showing appointment.